Get your advertising to attract the customers you really want! We are adept at helping businesses increase their value in the eyes of their customers. In today’s markets people care about one thing: Value. Are they getting the value they want from the their purchases? Do they feel like they are coming out on top? At Tetravive we help you increase the perceived value of your products and services. We do that by helping you optimize the way you exchange, communicate, create and deliver value to your customers. With the Tetravive method your audience will see your offering as more valuable, which will result in greater sales for you. Our marketing consulting and business coaching comes from decades of experience. We specialize in helping professionals like accountants, mortgage companies and book keepers grow their business’ value. We'll help you find the little things that will make a big impression on your customers. Whether it's increased contact with your customers, to an improved slogan. Your customers will love the change. We'll help you establish, or grow, a web presence for your company that will attract and help retain more customers to your company. We'll help you better target your advertising so you get a greater return on your investment. We'll also help you make your message more attractive to your audience. Learn the science and art of the sale. We'll teach you and your staff the right phrases to use, how to close deals, and how to follow through for the boost in sales that you need. We'll create an effective marketing plan to take your business through years of easier growth. We can even coach you on it's implementation with regular training sessions. From logos to business cards, and web sites to brochures, our graphic design services will help you make the right impression. 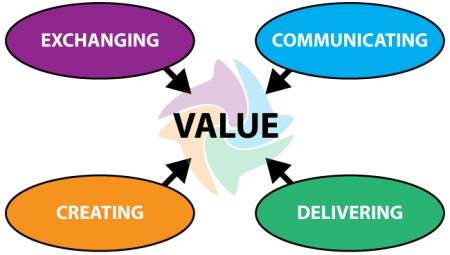 Are you ready to be more valued by your customers? Our approach to marketing consulting starts with the assumption that your company has value and our job is to simply help your customers see it more easily. We accomplish that goal by using our wealth of marketing experience, and some creativity, to create campaigns and processes that make your company really shine.